Do you recall the days of paper charts for everything? Maybe you still work in that environment. In 2016, many of us work using computerized provider order entry (CPOE) for everything from lab tests to diagnostic imaging to medication orders. From my experience, providers tend to have a love/hate relationship with CPOE. But what evidence do we have for the effect of CPOE on department flow? 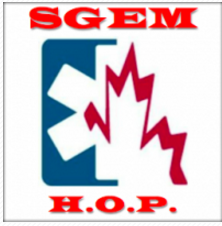 In the most recent edition of the SGEM-HOP (Skeptics Guide to Emergency Medicine – Hot off the Press), Ken and I had the chance to chat with Dr. Andrew Gray of the London Health Sciences Centre in London, Ontario. He recently published this paper in CJEM, which is free and open access. This was a before and after study looking at ED wait time, length of stay and percent of patients who left without being seen prior to and after implementation of CPOE at two quaternary care hospitals. The key results from this paper showed an increase in median ED wait time by 5 minutes (73 vs. 78 minutes), median length of stay increased by 10 minutes (254 vs. 264 minutes) and the percent who left without being seen (7.2% vs. 8.1%). While some of these numbers may seem more statistically significant than clinically significant, it does raise the question of whether CPOE is truly all its cracked up to be. For the full critical appraisal of the article and to listen to Andy’s take in the podcast, hop over The SGEM post here. Be sure to get involved and interact with us on the SGEM comments section, as Andy will be happy to answer your questions there. You can also chat with us on Twitter @thesgem or @socmobem.